Roebuck "Pops" Staples was born in Winona, Mississippi, and grew up on the Dockery plantation, also the home of bluesman Charley Patton. Staples drew from both the gospel and blues traditions to forge a sound that transcends their stylistic divide. As a child in his Mississippi Delta community, Staples listened to a cappella singers in church and sang religious songs at home with family and neighbors. As a teenager, he took up the guitar, inspired by blues artists such as Patton, Big Bill Broonzy and Barbecue Bob. 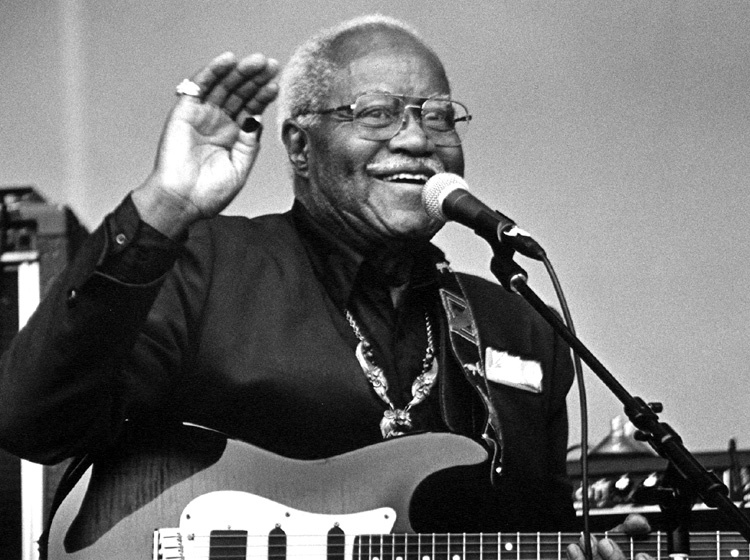 In later years, his style would be influenced by Muddy Waters and Howlin' Wolf, two Delta blues musicians who relocated to Chicago and amplified their sound. 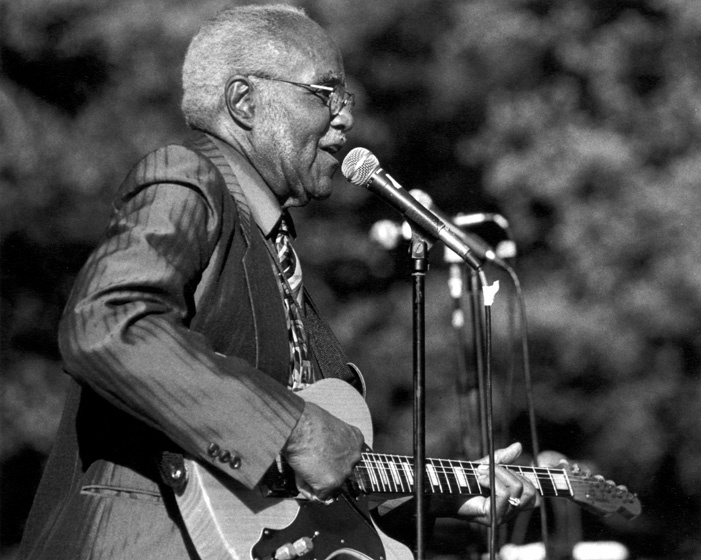 Though he admired and to some extent emulated blues players, Staples developed a guitar style to accompany religious music and sang with a local gospel group, the Golden Trumpets. Staples and his wife, Oceola, moved their family to Chicago in 1936. There he worked in meatpacking, steel and construction but also continued his work in gospel music. He joined the Trumpet Jubilees and heard the gospel music of pioneers Thomas A. Dorsey and Sallie Martin. 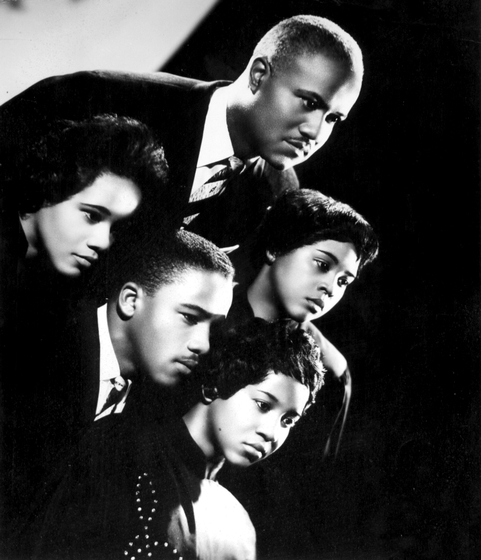 In 1948, he formed the Staple Singers with daughters Cleotha and Mavis and son Pervis. They sang at home and in local churches. Of those early years, Staples has said, "We just wanted to have music in the house, that's all." The family group's first jobs on the road took them to New Orleans and to Jackson, Mississippi. 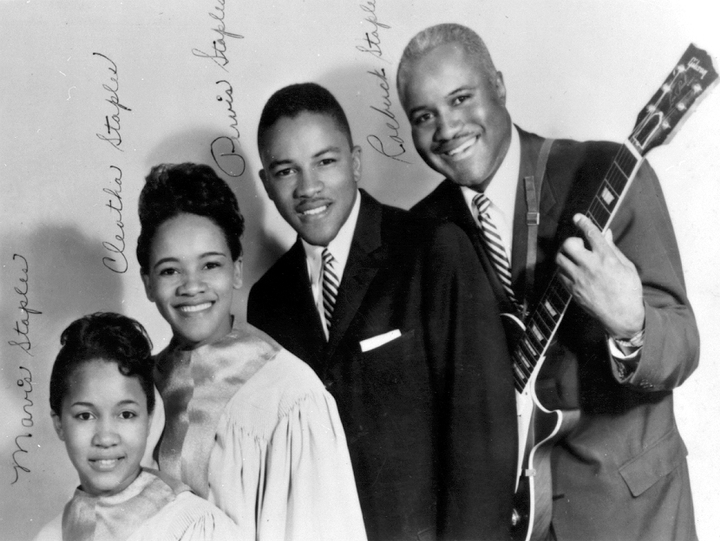 The Staple Singers began recording in 1953 and had their first success with the 1957 release "Uncloudy Day." Staples kept his day job until Mavis graduated from high school, then began to pursue work for the group full time. His other daughter, Yvonne, left the group in 1955, and rejoined four years later when Pervis was called for military service. 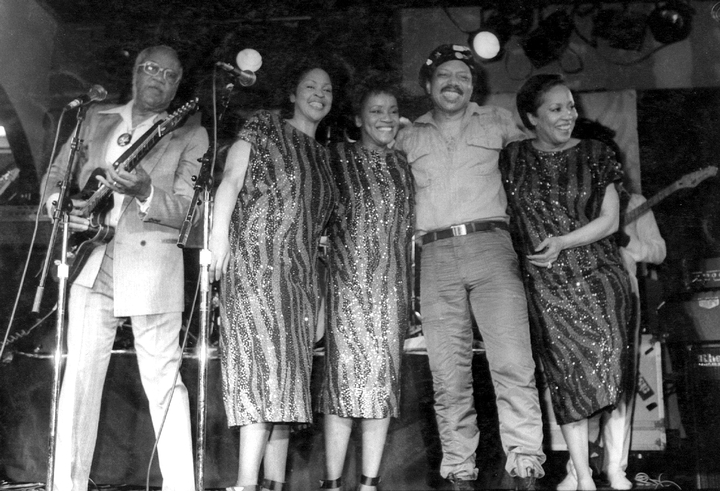 As the Staple Singers perfected a distinctive sound based on vocal harmonies and Staples' guitar, they became known as "the First Family of Gospel." As the civil rights movement gained momentum, the Staples family became good friends with Dr. Martin Luther King, Jr., and expanded their repertoire to include songs that reflected social change and their commitment to the struggle. After Dr. King's assassination, they released a memorable song, "A Long Walk to D.C." The group had its biggest commercial success in the 1970s with "Respect Yourself" (1971), "I'll Take You There" (1974) and "Let's Do It Again" (1976). In the 1980s, rather than retiring, Pops Staples began a solo career. His second solo album, Father Father, won a Grammy Award in 1994. 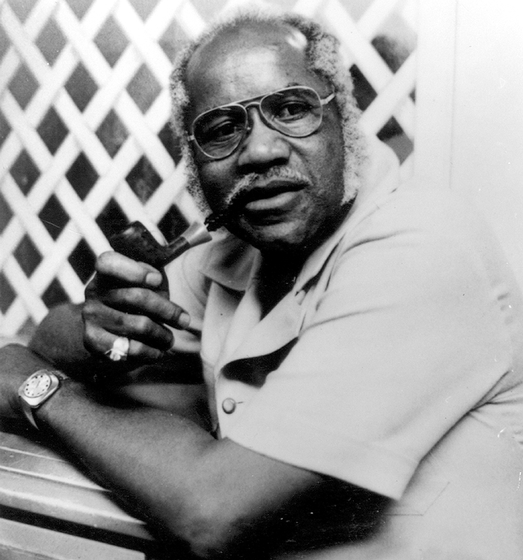 Despite the obvious blues influence in his music, Staples said, "I don't consider myself a blues singer; I try to carry a message of good news to everybody. I'm not a bluesman. I'm a message-man." Pareles, Jon. "Pops Staples, 1914-2000." Rolling Stone (February 1, 2001) 861: 15. Sprague, David. "With 'Father Father,' Point Blank Brings Back a Gospel Staple." Billboard (July 2, 1994) 106, 27: 17. Weider, Jim. "The Spirit of Pops Staples." Guitar Player (November 1996) 323, 11: 146. Staples, Roebuck. Father, Father. Point Blank 39638. ______. Peace to the Neighborhood. Point Blank 86286. The Staple Singers. Uncloudy Day. Charly CPCD 8087.